Hello and happy Monday! This week's Make It Monday challenge is brought to you by Lizzie Jones! She's highlighting a fun technique called Confetti Cluster Stamping and we hope you'll be inspired to give it a try! –Create a project utilizing your take on the challenge. 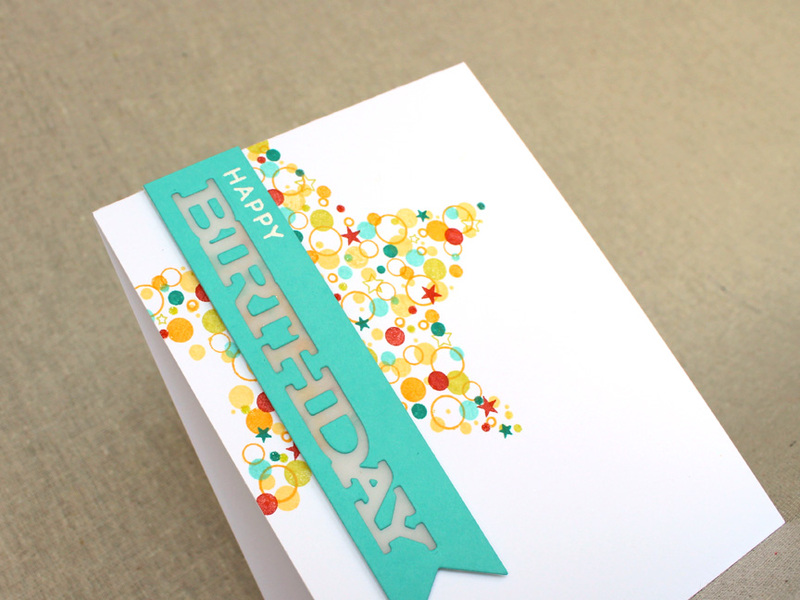 Your project must use at least one Papertrey product and confetti cluster stamping. –You will have until 6am, Monday, March 23, to add your link to the list to be eligible to win. –One randomly selected winner will be chosen from ALL the entries on Monday, March 23, after 6am. The winner will be posted here on this blog post, on Twitter and Facebook. The randomly selected winner will get a $25 PTI gift certificate to spend however they like! Congratulations to Shelly's Art for being randomly selected as this weeks winner! Please email Customer Service and provide the email address you would like your $25 gift certificate sent to! And a big thank you to everyone else who participated in this challenge. There were so many amazing entries! Enjoy the rest of your week! Great technique Lizzie. Thanks for video. So nice to see Lizzie doing a Make it Monday!! Will definitely have to try this. very fun!! thanks for idea! will be cool to see highlights for this week! This is so cool! Can’t imagine being able to get the shape to come out, but I’ll have to give it a try–thanks for the inspiration, Lizzie! Did you have to take the tape off all the negative pieces of the “birthday?” Thanks for sharing your creativity. Wonderful idea and awesome card! TFS! I thought this turned out so cute. I like the negative word and the vellum. All very clever. Thanks so much. I thoroughly enjoyed learning this new technique. Awesome project! not sure why but I am unable to make any comments on these links. 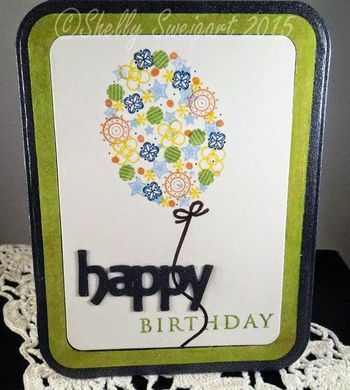 This is a great technique and it was fun creating my card. I really love this look and have never heard of it before. I have a suggestion, tho……after cutting out the shape, why not use the negative as a stencil? It would be so much easier to stamp those “bits” and you wouldn’t have to worry about going over the lines! Thanks so much for the video!! Wd. Love to try this and even use some of the tiny graphic stamps she uses, but they are not found in the stamp set she mented at the beginning of the stamping portion of the video. Could you please list the stamps used as there is quite a variety. Thank you. Great tips Lizzie! Looking forward to giving this a try! This was great fun. I challenged myself to use an unconventional stamp set. I used Brushstrokes and found the small floral centers made great confetti. Thank you for the creative boost! I changed the title of my blog yesterday and apparently it nullified the connection of my link up on the MIM for this week. I am at #19 but with the correct link up, same card at #29. Will you please remove the #19 link for me? I can’t seem to delete it. Thanks. Brilliant technique Lizzie. I love your example card. 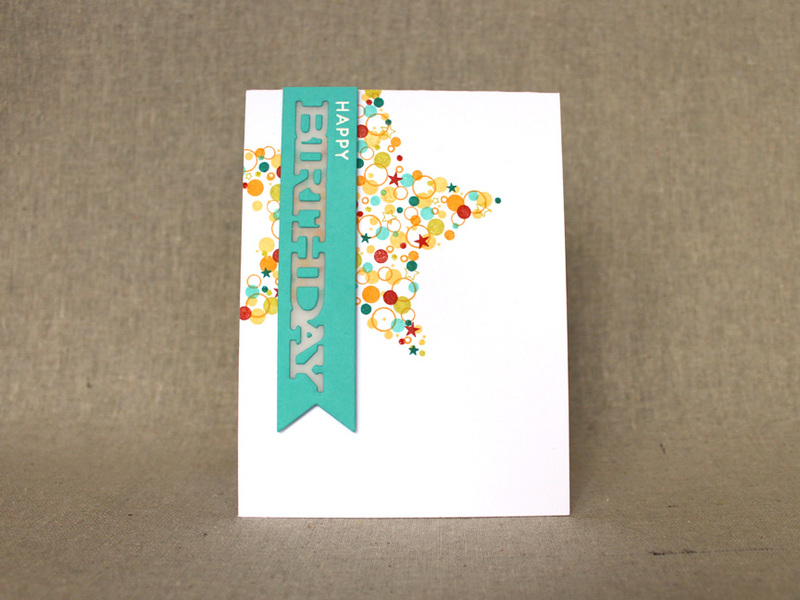 Gorgeous card and great video.. It is all a bit more difficult then it looks when you are doing it….but had fun trying it..
Great techniques and video. Love that card. Great card and great technique, thanks for sharing!